I’ll admit that I haven’t spent as much time obsessed with nursery planning with this little baby as I did with Josie. 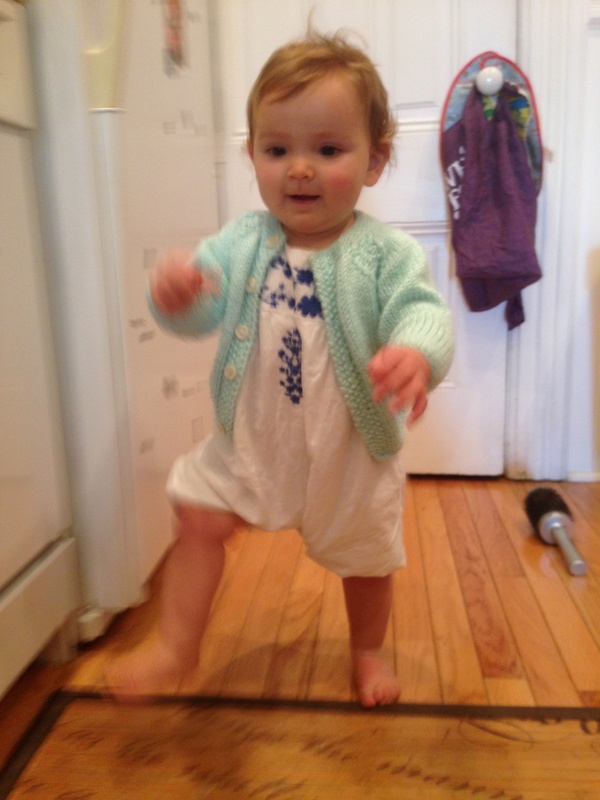 What with the upcoming move (in just two weeks) and the newly walking older sister, I’ve been a little preoccupied. But, I want to make this nursery really special for Baby B and so it’s time to get working. Like last time, I think that the chair will be the jumping off point. I thought about recovering a vintage chair again (like how I did for Josie). There actually was a chair I was seriously considering for $50 off Craigslist that I would then take to my upholsterer and I was planning on recovering it in a navy and white ticking stripe. Well, said chair, is deep in the East Bay (a trek for me) and then picking out the fabric and lugging chair to the upholsterer felt like a lot of work, on top of a move. I was going for a look kind of like this but with a chair that glides (so is skirted). I have found that I like to rock my babies. 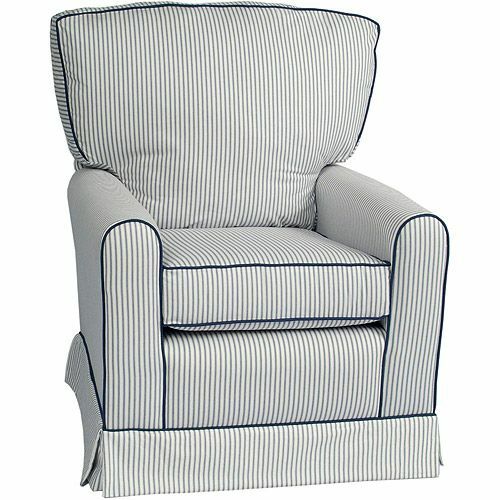 Chic, petite, ticking stripe glider with a contrast welt. It’s pretty much what I would have done custom, except I would have gone with a tufted tight back. But hey, pretty similar. Especially, when I found out that this glider was from Walmart of all places! I’ve never purchased from Walmart but this got 90 positive reviews and it’s about half of what I would spend to go custom and 1/10 the amount of energy. Win win. Houston, I think we have our starting point for the nursery. And so it begins, another nursery to put together. What do you think? Am I off my rocker (or should I say glider) for shopping Walmart? 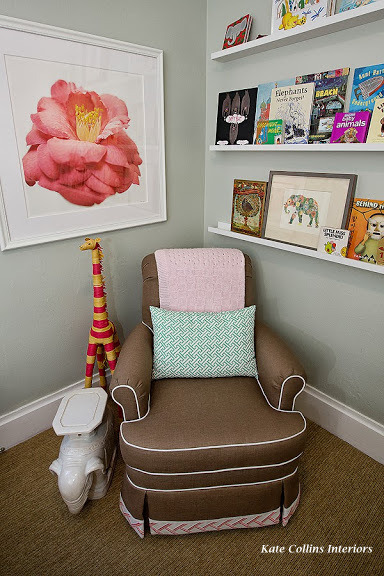 I’ve done several nursery designs lately and keep recommending an upholstered rocker from Walmart. It’s nearly identical to a Pottery Barn Kids piece! I don’t have any first hand knowledge to offer, but your instincts haven’t led you astray yet so I say go for it. P.S. Moving in two week? Hope all goes well! !